We love heading off on grand adventures. But, in the years since 9/11, it seems like the entire process of air travel has become much more of a hassle. For us, it’s become a LOT more fun to load up our Hyundai and head out on the open road. Which probably explains why we’ve driven on family vacations to New York City, Asheville, the Outer Banks, Mobile, and Tennessee in the last 18 months alone. What follows is the World’s Best Road Trips from our World Travel Bucket List. 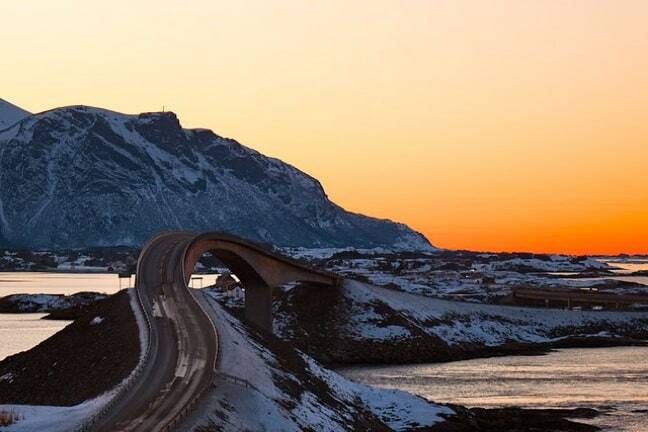 Named “The World’s Best Road Trip” by The Guardian, the Atlantic Ocean Road is an 8.3-kilometer long road running through a picturesque archipelago. Connecting the western fjord islands between Molde and Kristiansund, the road zig-zags across numerous small islands connected by causeways, viaducts and seven low bridges that jut out over the often dramatic Norwegian Sea. There are four rest areas offering panoramic views (which often include whales and seals), but the road itself is a thing of beauty often used in automobile ads. 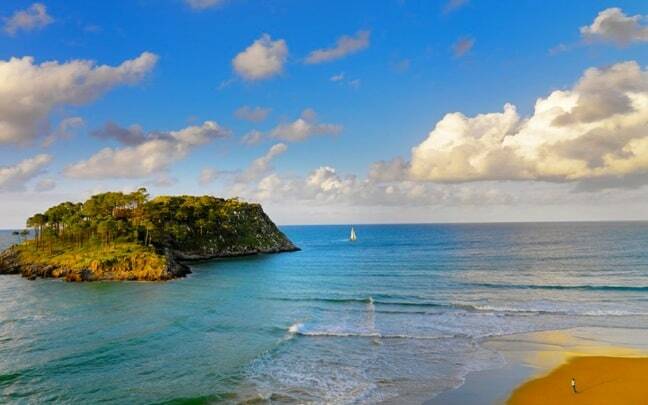 Stretching 300 miles from Bilbao in northern Spain to the French coastal town of Biarritz, the Basque Circuit is another of Europe’s iconic road trips. For culture lovers, suggested stops along the way include Bilbao’s Guggenheim Museum and Euskalduna concert hall, the historic architecture of Vitoria-Gasteiz (the region’s second-largest city), and the Asiatica Museum in Biarritz. But nature lovers will be equally impressed by the spectacular scenery as they make their way along the historic Roncesvalles pass through the Pyrenees, the gorgeous mountain range separating France from Spain. Running 469 miles through North Carolina and Virginia, the Blue Ridge Parkway ranks among North America’s most iconic roadways. With construction starting in 1935 (when it was known as the Appalachian Scenic Highway), the road was built to connect Great Smoky Mountains National Park with Shenandoah National Park. It’s been the National Park System’s most visited attraction almost every year since the mid-1940s. 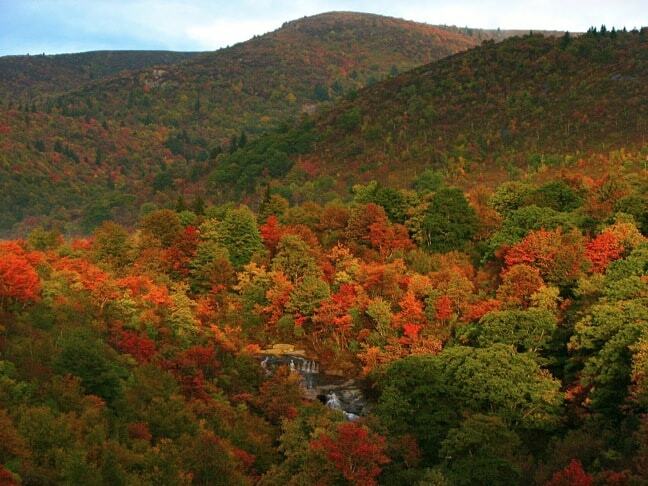 It’s easy to see why: With stunning scenery (particularly in Autumn), historic landmarks, and thousands of wildlife species, the parkway offers a taste of unspoiled Americana at its finest. With six million acres of pristine wilderness and only one 92-mile road through it, Denali National Park is a nature-lover’s paradise. To drive it yourself, you literally have to win the lottery, as the Park Service only opens the (mostly gravel) road to a limited number of private vehicles four days a year. Instead, take a shuttle bus, which stops for wildlife viewing and bathroom breaks and allows you to get on and off anywhere along the road. 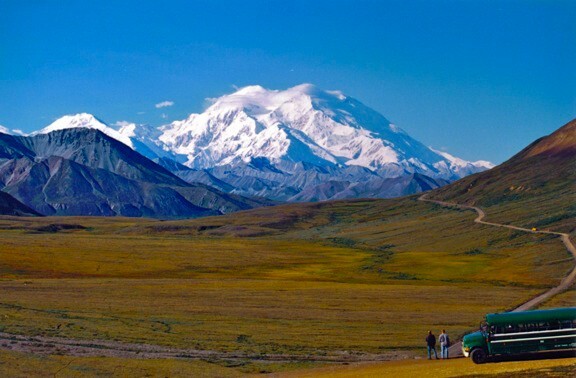 Paralleling the Alaska range, the road offers lovely landscapes, exceptional wildlife (bears, moose, caribou, and even wolves), and– if you’re lucky– breathtaking views of massive Mt McKinley. Stretching 151 miles along Australia’s southeastern coast between the Victorian cities of Torquay and Allansford, the Great Ocean Road was built between 1919 and 1932 and dedicated to soldiers killed during World War I (making it the world’s largest war memorial). The route encompasses Australia’s “Surf Coast” as well as the Shipwreck Coast, a formidable stretch of coastline that has claimed more than 600 boats in the last two centuries. Along the way, the road passes through ecosystems ranging from rainforests and beaches to sheer cliffs, including natural rock formations such as The Grotto, London Arch and the Twelve Apostles. Also known as the Friendship Highway, Karakoram Highway traces one of the paths of the ancient Silk Road, running 810 miles from the Chinese city of Kashgar to the Pakistani city of Abbottabad. 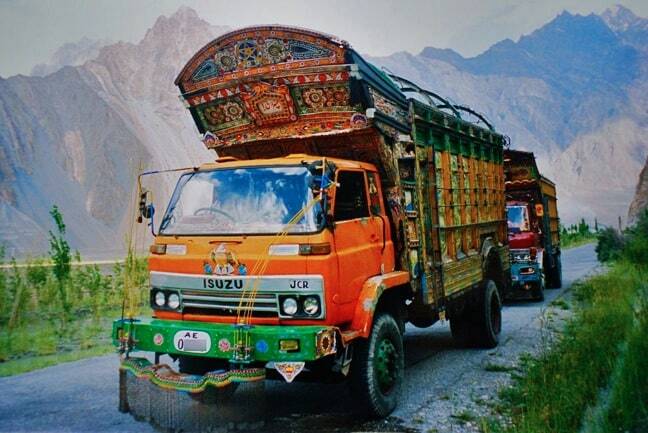 Built between 1959 and 1979 by the governments of China and Pakistan, Karakoram is the highest paved international road in the world, crossing the mountain range through the Khunjerab Pass at an elevation of 15,397 feet. Emerging in recent years as an eco-adventure hotspot, the highway provides access to ancient petroglyphs, rivers, lakes, glaciers and mountains, including K2 and Nanga Parbat (the 2nd and 9th tallest in the world). Though we’ve visited many of the countries along what the Guinness Book of World Records calls “the world’s longest motorable road,” driving its 15,000+ miles is widely considered the ultimate epic road trip. 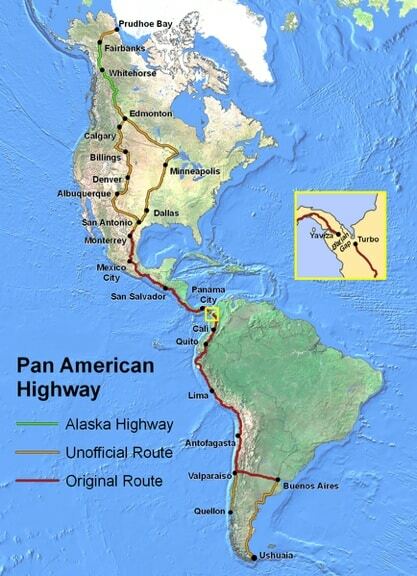 Created in 1937 with the signing of the Convention on the Pan-American Highway, the road system officially passes through 17 countries (the Canadian section doesn’t count, apparently), with some sections passable only during the dry season and the 60-mile Darién Gap constituting the only break. Our friends at Trans-Americas Journey are currently on a lengthy slow-travel quest to navigate its entire length. Iceland was on our bucket list long before Game Of Thrones started filming there, but the dynamic landscapes pictured on the hit show have certainly added fuel to our fantasy’s fire. 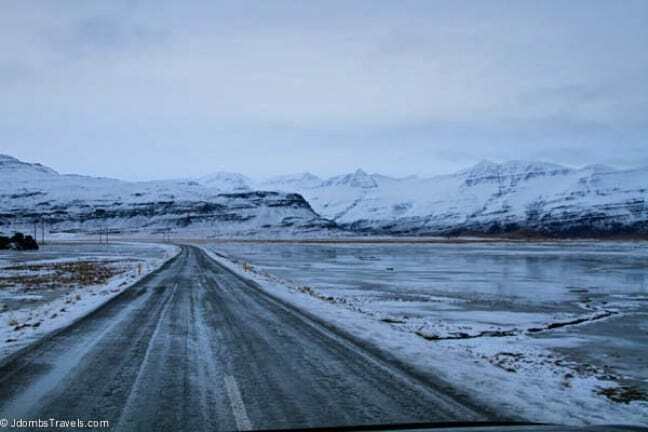 Officially known as Route 1, the 832-mile Ring Road circles the entire island, from snow-capped mountains and volcanic craters to fertile green valleys and vivid blue fjords. Completed in 1974 to celebrate 1100 years of human settlement in Iceland, the route takes travelers to some of the country’s finest attractions, including the Seljalandsfoss waterfall and Jökulsárlón glacier lagoon. One of my fondest travel memories involved driving 500+ km through South Africa’s Kruger National Park and into the Drakensburg Mountains. 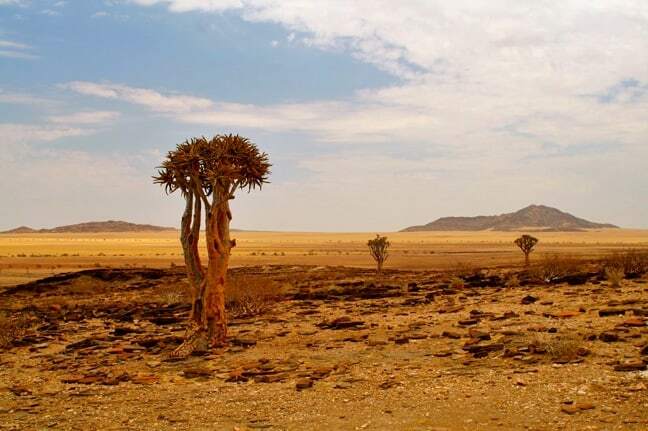 Namibia’s Skeleton Coast is said to be equally stunning, with arid, windswept landscapes, rugged coastlines shrouded in fog, and a remarkable array of wildlife ranging from baboons and giraffes to lions and rhinos. The 6200 square mile Skeleton Coast National Park is also home to one of the world’s largest Cape fur seal colonies. Our ethical issue with the country’s stubborn refusal to end its annual, brutal seal slaughter is the only thing that has prevented us from visiting thus far. 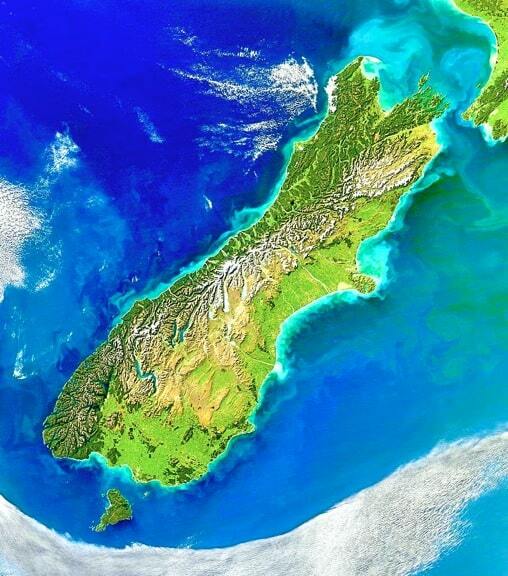 New Zealand for us feels a bit like Mordor must have felt for Frodo Baggins in The Lord of The Rings (which was filmed there)– almost impossibly far away and difficult to reach. But when we get there, I imagine we could spend two weeks just exploring the natural landscapes of South Island, venturing from Christchurch to Mt. Cook National Park, the Southern Lakes region, the wildlife of the Otago Peninsula, Fiordland National Park, and the gorgeous glaciers along the West Coast. Special thanks to Jennifer Dombrowski of JDomb’s Travels, Larissa Milne of Changes in Longitude, and Talon Windwalker of 1 Dad, 1 Kid, 1 Crazy Adventure for their suggestions.